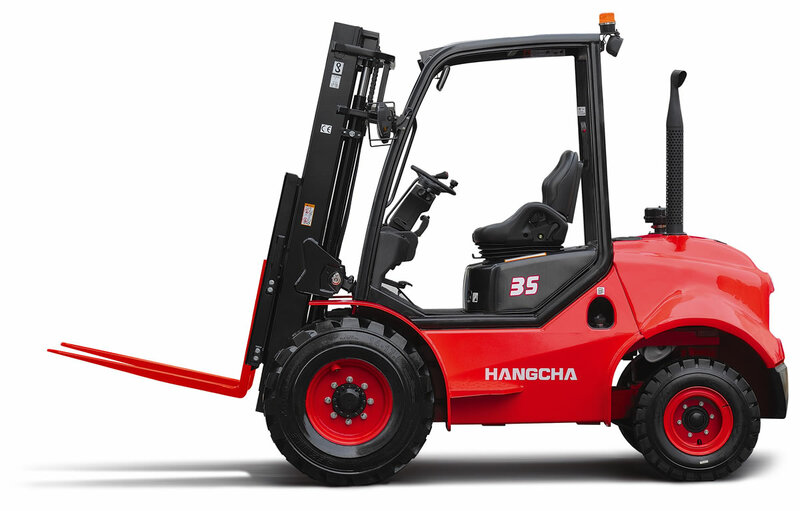 Offering supreme performance and longevity, the HC-UK Rough Terrain 2.5 – 3.5t Diesel Forklift boasts two forward & one reverse gears resulting in higher speeds and greater grade ability. Tough and compact in every sense, the reliable truck is equipped with wide-base tires and enhanced brakes which provide ultimate traction. When developing the Rough Terrain Forklift, comfort and ease of operation was at the top of the list. Improved shock absorbers, compound engine damper and a full floating seat have all been applied for a better driving experience.